This Sunday at 12:00 pm (CT) the Carolina Panthers will travel to New England to take on the Patriots. The Patriots are coming off another high scoring victory against the Houston Texans, narrowly escaping with a victory 36-33. Tom Brady once again was on fire, throwing for 5 touchdowns. On the other hand, Cam Newton is coming off another abysmal performance, throwing 3 interceptions en route to a 34-13 home loss to New Orleans. The Panthers, who have lost key targets in Greg Olsen and potentially Kelvin Benjamin, look to exploit a bad New England defense. This game could get out of hand quickly, however, and Newton may be in for another long week. As was said above, Cam Newton has struggled this season so far. It may be due to lagging shoulder injuries for Newton, but he has not looked like the fantasy stud he used to. Last week, Newton threw for 167 yards on 17 completions and 3 interceptions against the Saints. This was severely disappointing for fantasy owners, as the Saints defense has been notoriously porous against the pass. Newton did rush for 16 yards and 1 touchdown, so thankfully that “negated” the interceptions in most fantasy leagues. New England Defense currently ranks 2nd to last in points given up to QBs, so there is hope for a decent game. That being said, with this one being in Foxborough, Newton playing injured, and the potential loss of Kelvin Benjamin, Newton should be sat in most leagues. He is a mid-low end QB2 as of now. Christian McCaffrey was a bright spot in last week’s ugly loss to the Saints. He rushed only 4 times for 16 yards, but caught 9 of 11 targets for 101 yards. With Greg Olsen out, it looks like McCaffrey has become that new security blanket for Newton. The Patriots’ defense ranks dead last in points given up to running backs, so not only does McCaffrey have the opportunity to catch a ton of passes, but has a chance to break 1-2 big runs in this one. If Kelvin Benjamin sits due to injury, look for McCaffrey to see even more targets. He is a solid RB2/Flex play in this game, and even on a RB1/RB2 border in PPR leagues. Jonathan Stewart has still been the main running back in Carolina, which was evident in a team high 12 carries last week. He rushed for 57 yards and added 1 catch for 4 yards. As was mentioned above, New England has been horrible against the run, so Stewart has a chance to break some big ones this week. He looks to be a lower end RB2 in this matchup, especially if the Patriots get up early. Kelvin Benjamin is included in this column because the Panthers really have no other fantasy relevant players after Funchess. Benjamin exited his Week 3 matchup with only 2 receptions for 8 yards. It appears as though the injury is to his knee, but as of Tuesday doesn’t seem too serious. If he suits up, he faces the 29th ranked Patriots’ defense in points allowed to WR. The Patriots’ defense as a whole is not scary, and if Carolina falls behind as expected they will have to throw. If Benjamin is healthy, he should be a higher end WR2. Keep an eye on him over the week. Besides McCaffrey, Devin Funchess was the only other target for Newton once Benjamin left. He caught 4 out of 10 targets for 58 yards. This may look bad, but Funchess was constantly thrown to under heavy coverage, so it really isn’t his fault. If Benjamin sits, Funchess will see a large share of targets once again. Hopefully this time he is a little more open when he is thrown to. Funchess is an interesting WR2/Flex option if Benjamin sits, but will most likely be more of a WR3/WR4 if Benjamin plays. 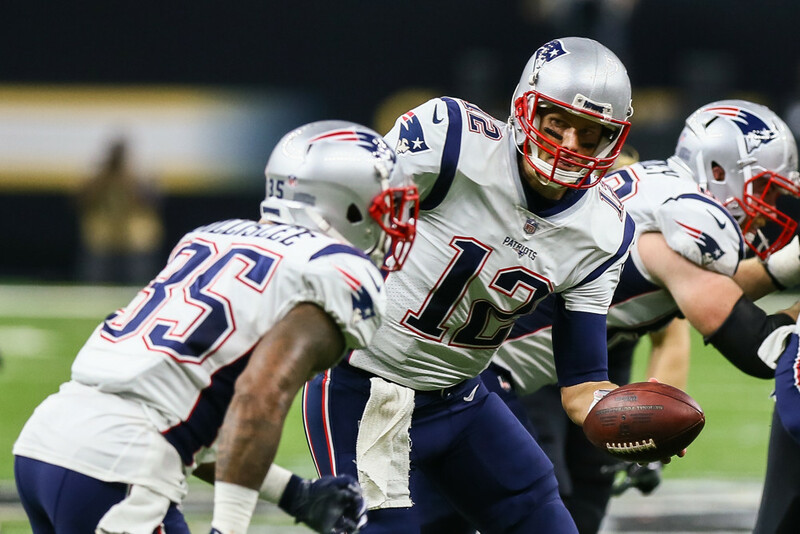 Tom Brady has been on fire the last two games, throwing for 825 yards and 8 touchdowns (5 of them coming from a home game against a good Texans’ defense). New England is home again this week, playing a Carolina defense that allowed 31 points to Drew Brees. Tom Brady is a top 5 QB week to week. The Panthers have a good run defense (5th in points allowed to RBs), so the running back group of Mike Gillislee, James White, and Dion Lewis may be in for a tough matchup. Gillislee led the Patriots last week with 12 carries for 31 yards. James White had 5 carries for 17 yards and 1 catch for 11 yards. Dion Lewis had 2 carries for 5 yards and 3 catches for 12 yards. None of the Patriots running backs have really “wowed” the fantasy world, and most likely this will be the case again in Week 4. Gillislee has touchdown potential if they get near the goal line and is probably more of a RB3/Flex play. White should see some more targets this week, and is also more of a Flex play in deeper leagues. Lewis should be avoided in all leagues. Rob Gronkowski had another solid game last week, catching 8 of 10 targets for 89 yards and 1 touchdown. The Panthers rank 6th in points given up to tight ends, but even in a more difficult matchup Gronkowski is a must start. No brainer here. Brandin Cooks finally emerged onto the scene with a 5 catch, 131 yard and 2 touchdown performance against the Texans in Week 3. Cooks made some amazing plays and showed his speed. This week may be a little more difficult for Cooks, who faces the 2nd ranked defense against WRs. That being said, Cooks will see a lot of targets and is looking like a lower end WR1 in this game. Even with Danny Amendola back from injury, Chris Hogan saw 6 targets, grabbing 4 of them for 68 yards and 2 touchdowns. With so many weapons, Brady will once again spread the ball around in Week 4, so look for Hogan to see a decent amount of targets with the Panthers’ defense most likely focusing on covering Cooks and Gronkowski. Hogan is more of a WR3/Flex player since there are so many options in this offense and the Panthers have been good against WRs.